Standard Historic Reissue Guitars are the culmination of a quest of over twenty years to deliver the look, tone and feel of a vintage Gibson guitar based on an intense passion for the originals and a dedication to the finest levels of materials and craftsmanship. 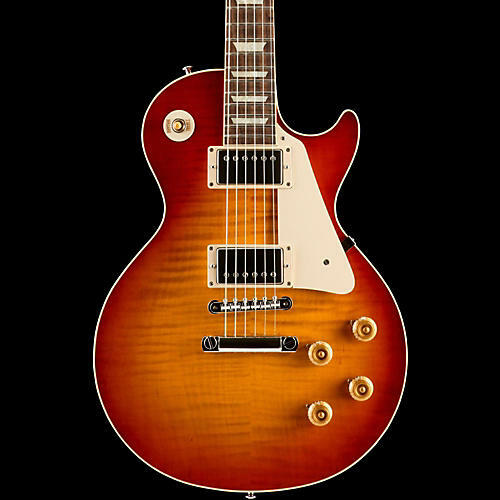 The Standard Historic 1959 Standard Les Paul from Gibson Custom delivers the tone, looks and feel of the original ’59 Sunburst Les Paul that set the standard. It features hand-crafted beauty, authentic vintage Gibson tone and historic appointments plus historically accurate aniline dye, hide glue neck construction and &nbsp;the renown sound transference that comes with its long neck tenon. The most important details that made the original the legend are artfully revived for a convincing vintage playing experience. Includes hardshell case.